The Obamas plan to get a puppy for Sasha and Malia when they move into the White House. Whatever dog they pick, it will be controversial. The pressure is on for them to get a pound puppy instead of one with a pedigree or one of those “designer mutts” such as a goldendoodle. But because Malia is allergic to dogs, they have to get a hypo-allergenic one. I hear you, Malia. That’s exactly why I have a Yorkie. It seems everyone wants to give the Obamas what they consider to be the perfect, allergy-free dog. The Peruvian Hairless Dog Association is jumping on the bandwagon. They are funny-looking mongrels with huge ears and they are bald. That’s precisely what makes them so cute. 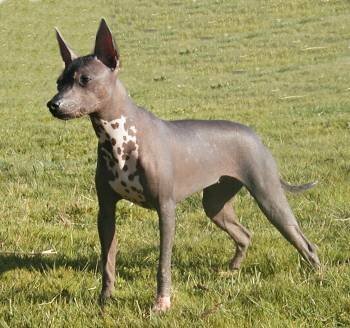 I saw one once in Mexico City, where the owners claimed it was a xoloitzcuintle, the beloved dog of the pre-Columbian Incas — even though they’re extinct. They were treated almost like deity. Diego Rivera immortalized the breed in many a mural in a style that was like anime before its time. The dog offers are nice, but people need to stop the almost obsessive push. Obama was smart enough beat all kinds of adversity, including the RNC propaganda machine. I think they will do just find picking a pup.